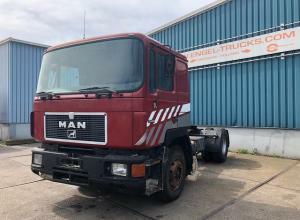 Transmission: ZF MANUAL GEARBOX, 16 gears, Manual gearbox Model year: 1990 Cab: F90 COMMANDER, sleep Axle configuration: 4x2 Tyre size: 12R22,5 Brakes: drum brakes Front axle: Max. 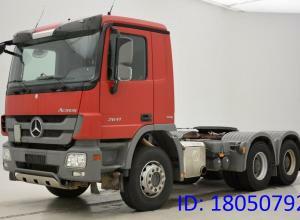 axle load: 7500 k.. 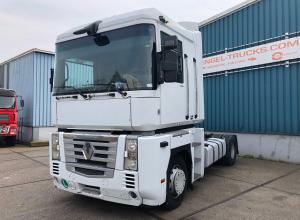 Transmission: ZF ZF16 MANUAL GEARBOX, 16 gears, Manual gearbox Model year: 1997 Cab: F2000 XT COMMANDER, sleep Axle configuration: 4x2 Tyre size: 315/80R22,5 Brakes: disc brakes Front axle: Max. axl.. 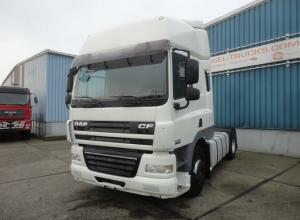 Transmission: ZF AS-TRONIC, 12 gears, Semi-automatic Model year: 2009 Cab: XF SPACECAB, sleep Axle configuration: 4x2 Front axle: Tyre size: 385/65R22,5; Alloy wheels; Max. axle load: 7500 kg; Tyre .. Transmission: Volvo OPTI-DRIVE, 12 gears, Semi-automatic Model year: 2009 Cab: AE MAGNUM PRIVILEGE, sleep Axle configuration: 4x2 Front axle: Tyre size: 315/70R22,5; Max. axle load: 7100 kg; Tyre pr.. Transmission: ZF ZF16 MANUAL GEARBOX, 16 gears, Manual gearbox Model year: 2003 Cab: CF SPACECAB, sleep Axle configuration: 4x2 Front axle: Tyre size: 315/80R22,5; Max. 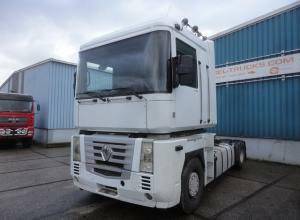 axle load: 7500 kg; Tyre prof.. 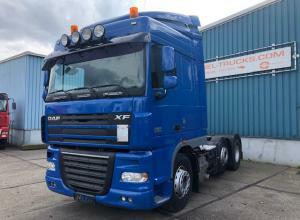 Transmission: ZF ZF16 MANUAL GEARBOX, 16 gears, Manual gearbox Model year: 2004 Cab: XF SPACECAB, sleep Axle configuration: 4x2 Front axle: Tyre size: 315/70R22,5; Max. 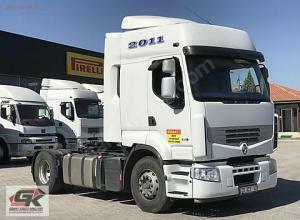 axle load: 7500 kg; Tyre prof.. 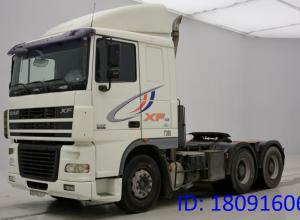 Transmission: ZF ZF16 MANUAL GEARBOX, 16 gears, Manual gearbox Model year: 2006 Cab: XF SUPERSPACECAB, sleep Axle configuration: 4x2 Front axle: Tyre size: 315/80R22,5; Max. axle load: 7500 kg; Tyre.. 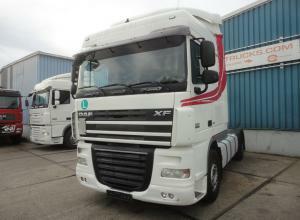 Transmission: ZF ZF16 MANUAL GEARBOX, 16 gears, Manual gearbox Model year: 2007 Cab: XF SPACECAB, sleep Axle configuration: 6x2 Front axle: Tyre size: 315/80R22,5; Max. 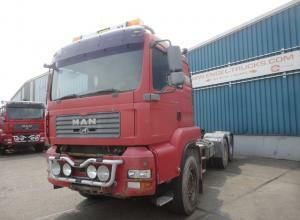 axle load: 7500 kg; Tyre prof.. 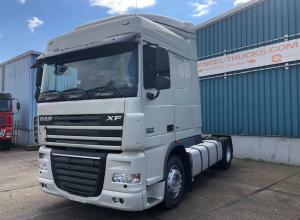 Transmission: ZF ZF16 MANUAL GEARBOX, 16 gears, Manual gearbox Model year: 2007 Cab: XF SPACECAB, sleep Axle configuration: 4x2 Front axle: Tyre size: 315/70R22,5; Max. 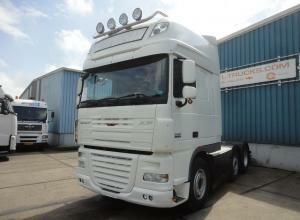 axle load: 7500 kg; Tyre prof.. Transmission: ZF ZF16 MANUAL GEARBOX, 16 gears, Manual gearbox Model year: 2002 Cab: CF SPACECAB, sleep Axle configuration: 4x2 Front axle: Tyre size: 315/70R22,5; Max. 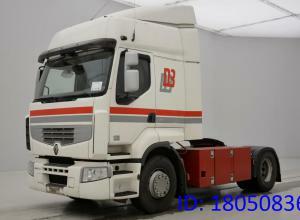 axle load: 7500 kg; Tyre prof.. 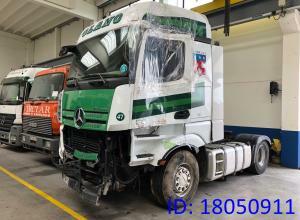 Transmission: Semi-automatic Transmission: Mercedes-Benz EPS WITH CLUTCH, 16 gears, Semi-automatic Model year: 2007 Cab: MP 3, sleep Axle configuration: 6x4 Front axle: Tyre size: 385/65R22,5; Max. .. 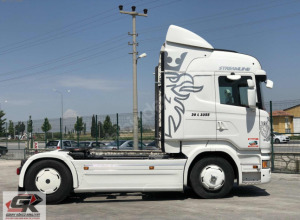 Transmission: Volvo OPTI DRIVE, 12 gears, Semi-automatic Model year: 2010 Cab: PREMIUM HIGH ROOF, sleep Axle configuration: 4x2 Front axle: Tyre size: 295/80R22,5; Max. axle load: 7100 kg; Tyre prof.. Transmission: ZF ZF16 MANUAL GEARBOX, 16 gears, Manual gearbox Model year: 2008 Cab: PREMIUM HIGH ROOF, sleep Axle configuration: 4x2 Front axle: Tyre size: 315/70R22,5; Max. 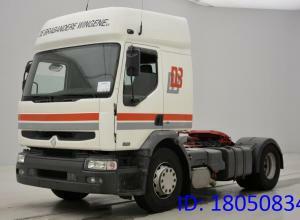 axle load: 7100 kg; Tyr.. Transmission: ZF ZF16 MANUAL GEARBOX, 16 gears, Manual gearbox Model year: 2008 Cab: PREMIUM HIGH ROOF, sleep Axle configuration: 4x2 Front axle: Tyre size: 315/80R22,5; Max. 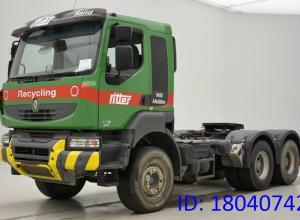 axle load: 7500 kg; Tyr.. 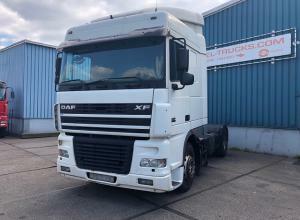 Transmission: ZF ZF16 MANUAL GEARBOX, 16 gears, Manual gearbox Model year: 2003 Cab: XF SPACECAB, sleep Axle configuration: 4x2 Front axle: Tyre size: 315/70R22,5; Max. 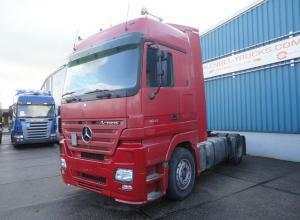 axle load: 7500 kg; Tyre prof.. 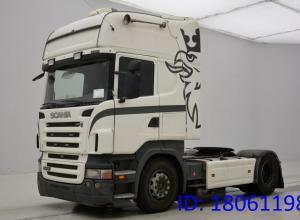 Transmission: Scania 12+2 GEARS MANUAL GEARBOX, 12 gears, Manual gearbox Model year: 2006 Cab: CR19 HIGHLINE, sleep Axle configuration: 4x2 Front axle: Tyre size: 315/70R22,5; Max. 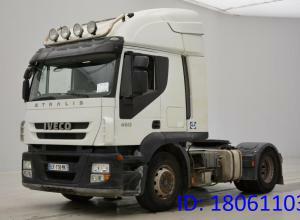 axle load: 7100 k.. 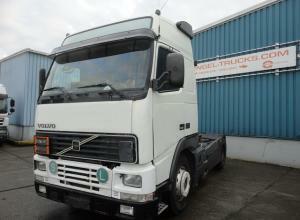 Transmission: Volvo, 12 gears, Manual gearbox Cab: Sleeper cab, sleep Front axle: Tyre size: 315/70R22.5; Max. 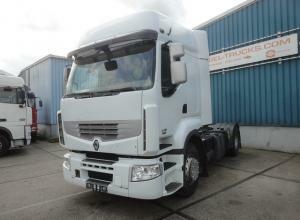 axle load: 7100 kg; Tyre profile left outer: 30%; Tyre profile right outer: 30%; Brakes.. 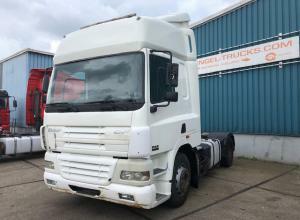 Transmission: Scania 12+2 GEARS MANUAL GEARBOX, 12 gears, Manual gearbox Model year: 2007 Cab: CR19 HIGHLINE, sleep Axle configuration: 4x2 Front axle: Tyre size: 385/65R22,5; Max. 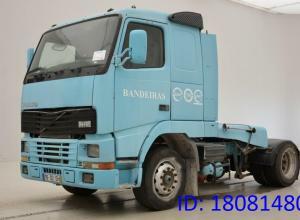 axle load: 7100 k.. 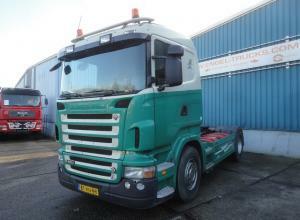 Transmission: Semi-automatic Transmission: Scania OPTI-CRUISE WITH CLUTCH, 12 gears, Semi-automatic Model year: 2008 Cab: CR19 SLEEPERCAB, sleep Axle configuration: 4x2 Front axle: Tyre size: 385/65.. 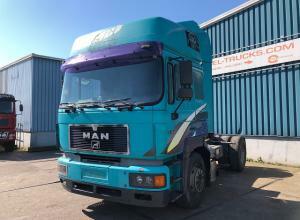 Transmission: Volvo SR (12+2 GEARS) MANUAL, 12 gears, Manual gearbox Model year: 2001 Cab: FH GLOBETROTTER, sleep Axle configuration: 4x2 Front axle: Tyre size: 315/80R22,5; Max. axle load: 7100 kg;.. 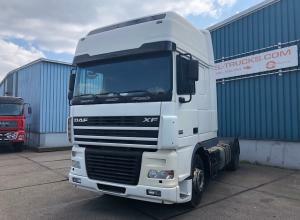 Transmission: ZF ZF16 HANDGESCHAKELD, 16 gears, Manual gearbox Model year: 2007 Cab: PREMIUM HIGH ROOF, sleep Axle configuration: 4x2 Front axle: Tyre size: 315/70R22,5; Max. 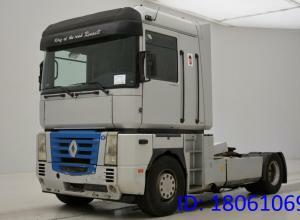 axle load: 7100 kg; Tyr.. 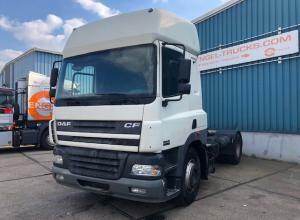 Transmission: ZF ZF16 MANUAL GEARBOX, 16 gears, Manual gearbox Model year: 2008 Cab: CF SPACECAB, sleep Axle configuration: 4x2 Front axle: Tyre size: 315/70R22,5; Max. 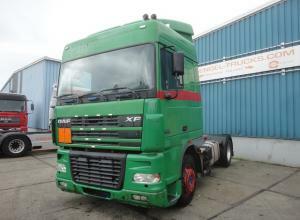 axle load: 7500 kg; Tyre prof.. Transmission: ZF ZF16 MANUAL GEARBOX, 16 gears, Manual gearbox Model year: 2005 Cab: AE PRIVILEGE, sleep Axle configuration: 4x2 Front axle: Tyre size: 385/65R22,5; Max. axle load: 7100 kg; Tyre pro.. 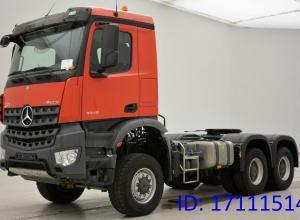 Transmission: Semi-automatic Transmission: Mercedes-Benz EPS WITH CLUTCH (3 PEDALS), 12 gears, Semi-automatic Model year: 2004 Cab: ACTROS MEGASPACE, sleep Axle configuration: 4x2 Front axle: Tyre s.. Transmission: Semi-automatic Transmission: Mercedes-Benz EPS WITH CLUTCH (3 PEDALS!! 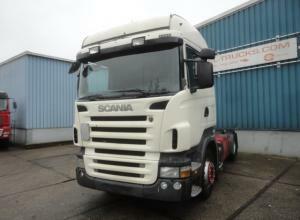 ), 16 gears, Semi-automatic Model year: 2004 Cab: MEGASPACE, sleep Axle configuration: 4x2 Front axle: Tyre size: .. 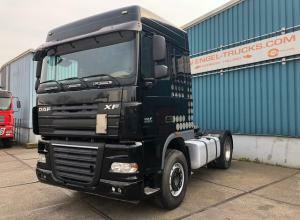 Transmission: ZF ZF16 GEARS MANUALL, 16 gears, Manual gearbox Model year: 2004 Cab: AXOR, sleep Axle configuration: 4x2 Front axle: Tyre size: 315/80R22,5; Max. axle load: 7100 kg; Tyre profile left.. 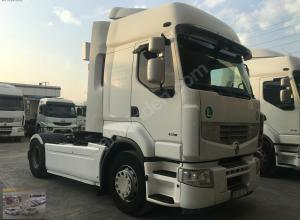 Transmission: Semi-automatic Transmission: ZF AS-TRONIC, 12 gears, Semi-automatic Model year: 2004 Cab: XF SPACECAB, sleep Axle configuration: 4x2 Front axle: Tyre size: 315/80R22,5; Max. axle load:.. Transmission: Semi-automatic Transmission: ZF AS-TRONIC (12 GEARS), 12 gears, Semi-automatic Model year: 2010 Cab: XF SUPERSPACECAB, sleep Axle configuration: 6x2 Front axle: Tyre size: 385/65R22,5;.. 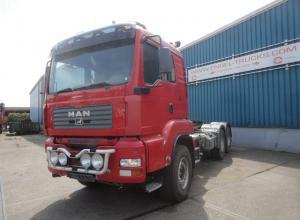 Transmission: ZF ZF16 MANUAL GEARBOX, 16 gears, Manual gearbox Model year: 2007 Cab: TGA L SLEEPERCAB, sleep Axle configuration: 6x4 Front axle: Tyre size: 385/65R22,5; Max. axle load: 8000 kg; Tyre.. Transmission: ZF ZF16 GEARS MANUAL, 16 gears, Manual gearbox Model year: 2007 Cab: TGA L SLEEPERCAB, sleep Axle configuration: 6x4 Front axle: Tyre size: 385/65R22,5; Max. 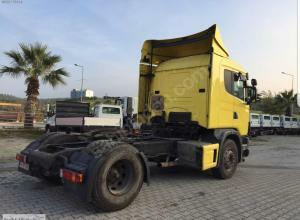 axle load: 8000 kg; Tyre p.. 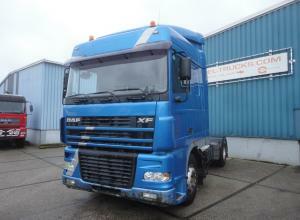 Transmission: ZF, 16 gears, Manual gearbox Cab: Kerax, day Front axle: Tyre size: 13R22.5; Max. axle load: 7100 kg; Tyre profile left outer: 30%; Tyre profile right outer: 30%; Brakes: drum brakes; .. 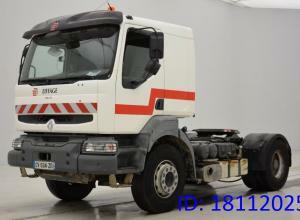 Transmission: ZF, 16 gears, Manual gearbox Cab: Space Cab Front axle: Tyre size: 315/80R22.5; Max. axle load: 7500 kg; Tyre profile left outer: 10%; Tyre profile right outer: 10%; Brakes: disc brake..
2017 SCAN?A R450 ÇEK?C? RETARDER- KM:58.000 %1 KDV ?LE DETAYLI B?LG? VE TÜM SORULARINIZ ?Ç?N SATI? TEMS?LC?LER?M?Z 0553 191 19 36 SAMET TOK 0506 153 53 43 SELÇUK KANTAR D? ?ER ?LANLARIMIZI .. 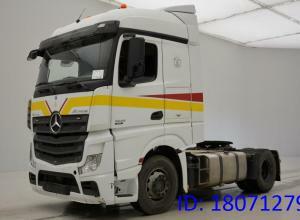 Transmission: Mercedes-Benz, Automatic Cab: Actros, sleep Front axle: Tyre size: 315/80R22.5; Max. axle load: 7500 kg; Tyre profile left outer: 30%; Tyre profile right outer: 30%; Brakes: disc brake.. 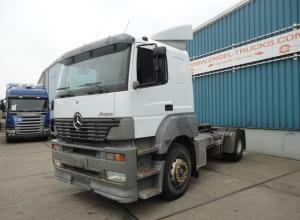 Transmission: Mercedes-Benz, Automatic Cab: Actros, sleep Front axle: Tyre size: 315/80R22.5; Max. axle load: 7500 kg; Tyre profile left outer: 60%; Tyre profile right outer: 60%; Brakes: disc brake..
Cab: Magnum, sleep Front axle: Tyre size: 385/65R22.5; Max. axle load: 7100 kg; Tyre profile left outer: 40%; Tyre profile right outer: 40%; Brakes: disc brakes; Suspension: leaf suspension Rear axl.. 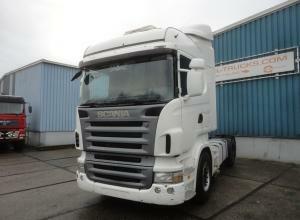 Transmission: Scania, 12 gears, Manual gearbox Cab: Topline, sleep Front axle: Tyre size: 315/80R22.5; Max. 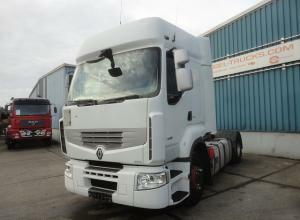 axle load: 7500 kg; Tyre profile left outer: 60%; Tyre profile right outer: 60%; Brakes: d.. 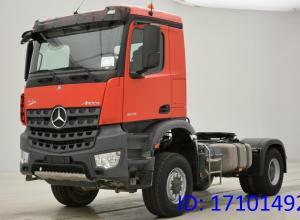 Transmission: Mercedes-Benz, 16 gears, Manual gearbox Cab: AROCS, half sleeper Front axle: Tyre size: 315/80R22.5; Max. axle load: 13000 kg; Tyre profile left outer: 40%; Tyre profile right outer: 4.. 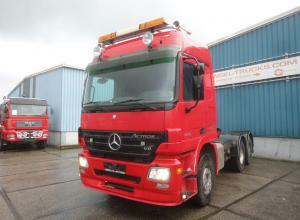 Transmission: Mercedes-Benz, 16 gears, Manual gearbox Cab: AROCS, half sleeper Front axle: Tyre size: 385/65R22.5; Max. axle load: 8000 kg; Tyre profile left outer: 60%; Tyre profile right outer: 60..
Cab: Stralis, day Front axle: Tyre size: 315/80R22.5; Max. axle load: 8000 kg; Tyre profile left outer: 20%; Tyre profile right outer: 20%; Brakes: disc brakes; Suspension: leaf suspension Rear axle.. 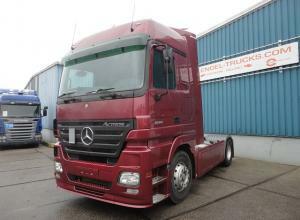 Transmission: Mercedes-Benz, Automatic Cab: ACTROS, sleep Front axle: Tyre size: 385/65R225; Max. axle load: 7500 kg; Tyre profile left outer: 70%; Tyre profile right outer: 70%; Brakes: disc brakes.. Transmission: ZF, 16 gears, Manual gearbox Cab: Kerax, day Front axle: Tyre size: 385/65R22.5; Max. axle load: 8000 kg; Tyre profile left outer: 20%; Tyre profile right outer: 20%; Brakes: drum brak.. Transmission: Mercedes-Benz, Automatic Cab: ACTROS, day Front axle: Tyre size: 315/80R22.5; Max. axle load: 9500 kg; Tyre profile left outer: 70%; Tyre profile right outer: 70%; Brakes: disc brakes;.. 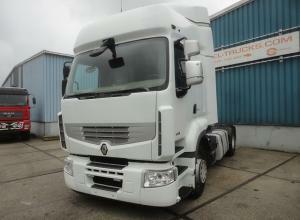 Transmission: ZF, 16 gears, Manual gearbox Cab: Premium, half sleeper Front axle: Tyre size: 315/80R22.5; Max. 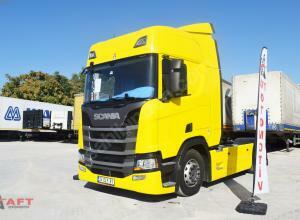 axle load: 7100 kg; Tyre profile left outer: 85%; Tyre profile right outer: 85%; Brakes.. 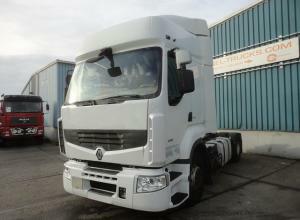 Transmission: ZF, 16 gears, Manual gearbox Cab: Premium, sleep Front axle: Tyre size: 315/80R22.5; Max. axle load: 7100 kg; Tyre profile left outer: 10%; Tyre profile right outer: 10%; Brakes: disc ..